Fibers of Kalamazoo carries a variety of plastic products. If you have a plastic packaging need or problem, we have the solution and product for you! 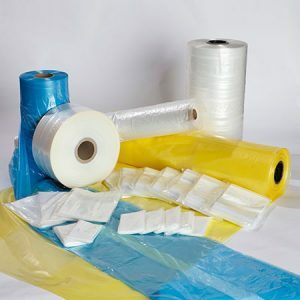 We offer flat pack, Ziplocs, colored and tinted, liners, furniture and skid covers, specialty bags, and many more plastic packaging products. Fibers of Kalamazoo will also stock products and create custom-size products to meet your day-to-day needs. Bag, wrap, cover, and protect items of all sizes with ease using Fibers of Kalamazoo’s plastic products! Looking for more supplies? We have corrugated boxes, tape, and a wide range of other packaging products! 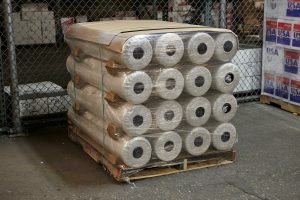 We also carry paper products, chemicals, and other janitorial products to keep your facility clean and sanitary. Fill out the form below or contact us today for more information. Our knowledgeable sales staff is eager to find the best plastic and packaging products for your organization!